3 days Work Shop/Training in Primavera & Staad pro by 20+ years Industries Experienced Professional to be held in Mumbai for Rs. 6,000/- each(With Lunch & Snacks). For Working Professionals and Students. Interested people Block the seats by sending Confirmation mail. 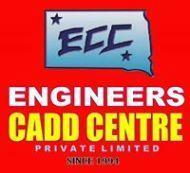 Engineers Cadd Centre conducts classes in Mechanical CAD, Project Management and Structured FrameMaker. It is located in Byculla, Mumbai. It takes Regular Classes- at the Institute.